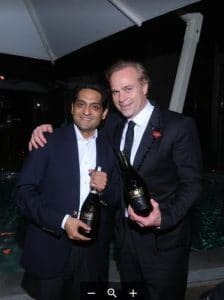 Known for its broad portfolio of California and French wineries, the Boisset Collection has enjoyed steady progress at the high-end of the wine market lately, according to Shanken News Daily. Last year, the group grew its US volume by 4% to 875,000 cases, led by California-based DeLoach Vineyards, Raymond Vineyards, and Buena Vista Winery. This year, the Boisset Collection is unleashing a new product blitz, including a host of new wine and spirits offerings, notes the news release. Under its JCB label, the Boisset Collection recently released French Kiss ($22), a red sparkler made with 100% Gamay from Beaujolais, while extending the availability of its Passion by JCB red blend to the on-premise. Around 1,000 cases of the Cabernet Sauvignon-based Napa Valley blend are launching in the restaurant channel, positioned at around $96 a bottle and $26 a glass. 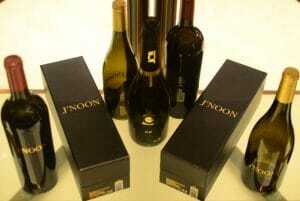 Boisset Collections unveiled J’Noon a partnership with Kapil Sekhri co-founder of Fratelli Wines. Earlier this spring, the company also unveiled Jâ€™Noon, a partnership with Kapil Sekhri, co-founder of Indian winery Fratelli Wines. The range, launching stateside this summer, will feature three limited edition wines from India: JCB No. 47 Brut Akluj ($50), a 100% Chardonnay sparkler, White Akluj ($40), and Red Akluj ($60). Meanwhile, the Boisset Collection made its foray into the spirits segment this spring. The JCB Spirits range comprises three upscale vodkasâ€”Classic, Caviar-infused, and Truffle-infused ($125-$150) â€“ and a gin ($125) made with juniper, roses, and coriander. The spirits, which are all distilled from a wine base of Pinot Noir and Chardonnay sourced from the CÃ´te dâ€™Or in Burgundy, are currently rolling out across 16 US markets. â€œWeâ€™ve approached these spirits like we would an estate wine â€“ itâ€™s very small production, around 5,000 bottles of each label,â€ said Boisset, adding that each offering is designed to be enjoyed neat, but can also be paired with food. In addition to wine and spirits, the Boisset Collection has successfully spun off its brand into several other categories, releasing a coffee range called First Growth and laying plans to launch a perfume line in June. Boisset also recently released a new book,Â Passion for Wine: The French Ideal and the American Dream.